Teaching and Research. If you're interested in teaching undergraduate, master's-level, or doctoral-level students, you can probably work in a university setting, where you will probably also do research. If you are not interested in teaching and want to focus on research, you can work for government agencies (for example, the Centers for Disease Control) or for private research organizations. To work as a psychologist in these settings, you typically will need a Ph.D. in psychology-not in another field such as education or social work. You might be able to get a teaching job at a two-year school with a master's degree in psychology; however, the job market is glutted, and Ph.D.'s are taking many of these jobs. But it depends on where you're looking for a job-small towns with community colleges would love to be able to hire someone with a graduate degree! Applied Work. Psychologists in selected subfields have the option not only of teaching (sharing knowledge) and research (generating knowledge) but also of working in settings in which they apply their knowledge. The subfields that you only need a Masters for include clinical psychology and industrial/organizational psychology. For the subfields counseling psychology, forensic psychology, health psychology, and sports psychology, you usually have to have a Doctorate in Psychology. Graduates with a master's or doctoral-level degree in psychology will find that career choices are wide and varied. 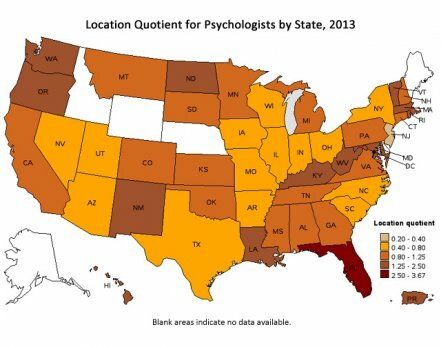 As access to mental health care increases, the demand for trained therapists and clinicians rises as well. Others may find employment in business, education, or government. Just be aware that to get a job like you're thinking of, for example a psychologist, therapist, etc, you have to have more than just a Bachelor's of Science, you have to go on and get masters and doctorates.